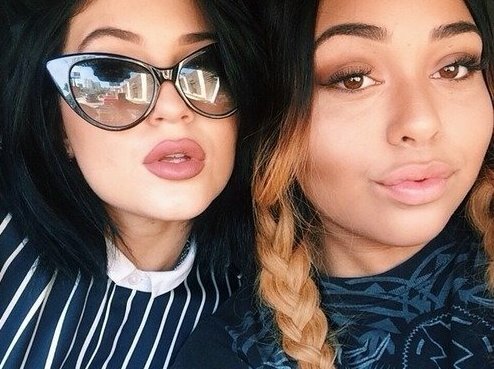 Kylie Jenner Buys Her Friend a $70k Car for Her 18th Birthday! If you're Kylie Jenner, you can afford to give your friend a car. Not just an ordinary car, but a $70,000 Mercedes-Benz convertible! This comes after Kylie receives a $320k Ferrari from her boyfriend, Tyga. She know how to pay it forward. "There's no words to describe how I feel ... I just don't know what I did to deserve this. I can never thank @kyliejenner for motivating me to always do my best and always opening up new opportunities. Do good and good things will happen. Blessed and grateful always. Love you and thank you again to everyone who made me feel special on this 18th year. Finally "
I wish I have a generous celebrity bff.